The iPhone 4 can be a nightmare for those users who like to take extreme care of their phones. Unlike older iPhone versions, the iPhone 4 not only has that big display on the front but even the rear surface is made of aluminosilicate glass. Apple might claim it to be one of the toughest glass surfaces in the world, but for the finicky sorts, any glass surface means it has to be protected from scratches and greasy smudges, And that’s where Otterbox steps in with its Commuter series case for the iPhone 4. 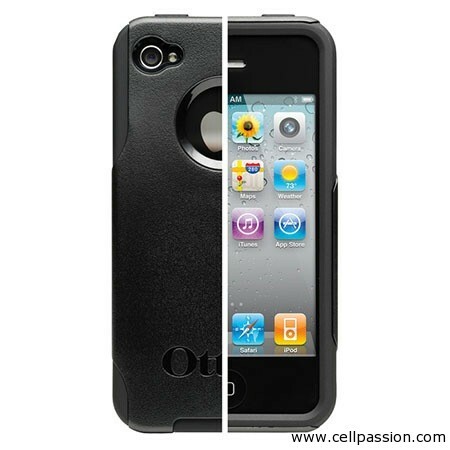 Otterbox offers three cases for the iPhone 4, starting from Impact followed by Commuter and finally the Defender. Each case offers a different level of ruggedness, with Impact providing the minimum and Defender the maximum. However, increased ruggedness also results into increased bulk as the case keeps getting thicker. I prefer the Commuter case, which provides more than enough protection and feels just right when held. The case comes with a silicone covering, which in turn is covered by a plastic shell that provides overall sturdiness. The headset jack is covered and all major buttons are easily accessible. The thing I like the most about this case is that it fits perfectly around the edges of the display, unlike some other cases that make it difficult to access those edges. I can only think of one thing missing in this case – choice of colours. The Otterbox Defender case for iPhone 4 is available only in black. It is priced at $34.95 and can be bought online from here.